The owner of a school account has the highest level of permissions on Atomi. 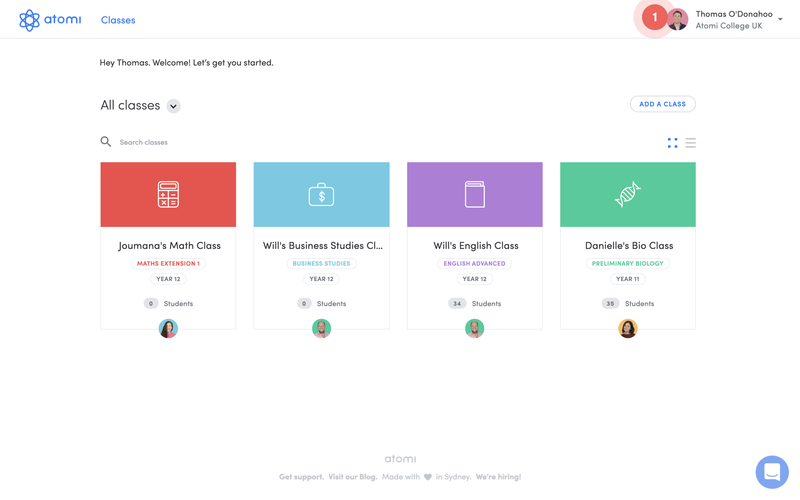 You automatically become the owner when you create a school account, but you can transfer ownership to another person if you'd like. Please note: Once you transfer ownership to another person, the change is immediate and you will not be able to undo the action (but they can transfer it back to you). 3. 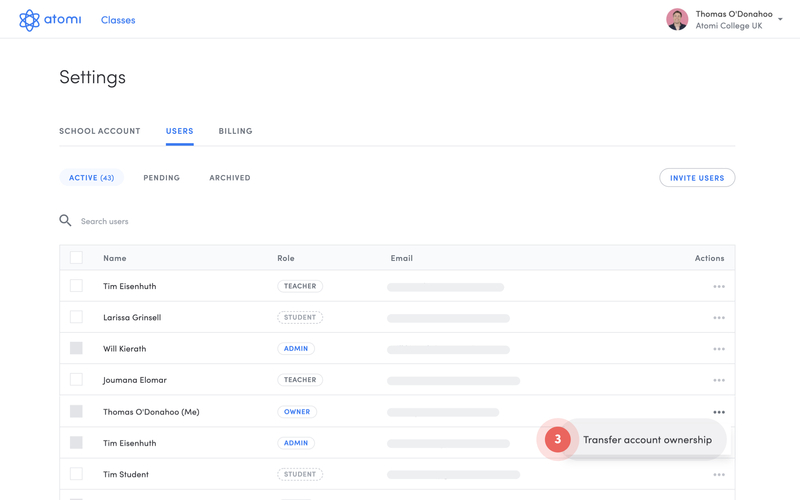 Next to your own name, click on the ••• icon to the far right (under the Actions heading) and select Transfer account ownership from the dropdown list. 4. 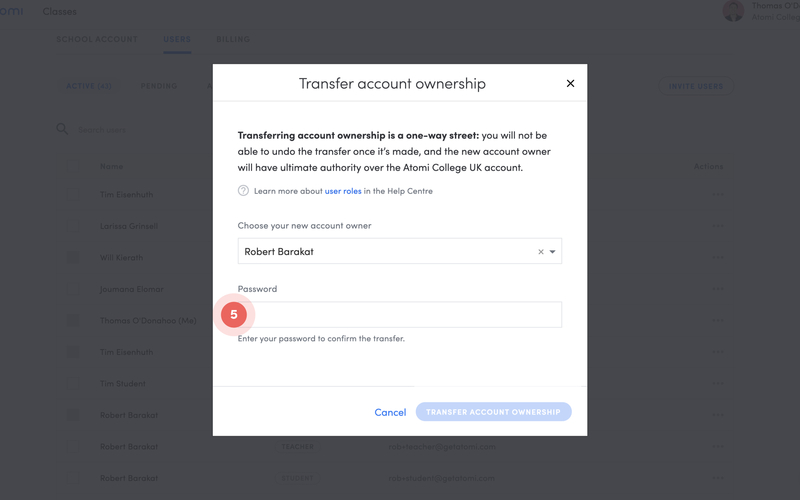 Select your new account owner by searching for them by name in the field provided in the Transfer account ownership popup . 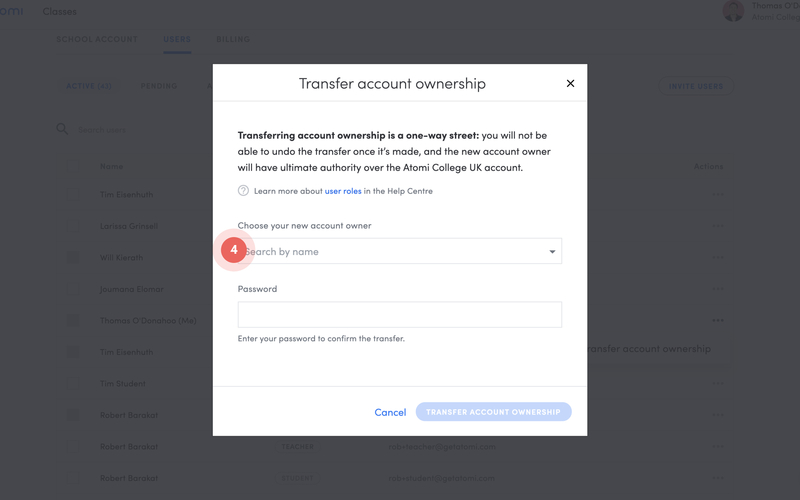 You can only transfer account ownership to an admin. 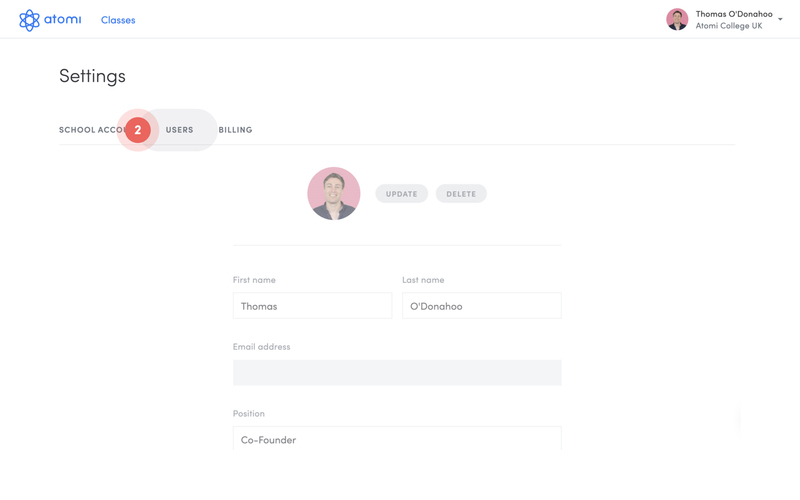 See Making a user an admin if you're unsure on how to do this. 5. Enter your password to confirm the transfer. 6. 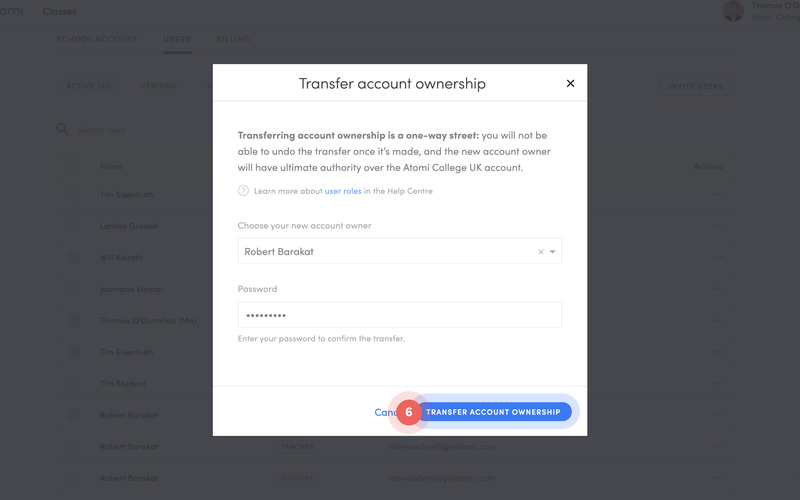 Click the Transfer account ownership button to finish. 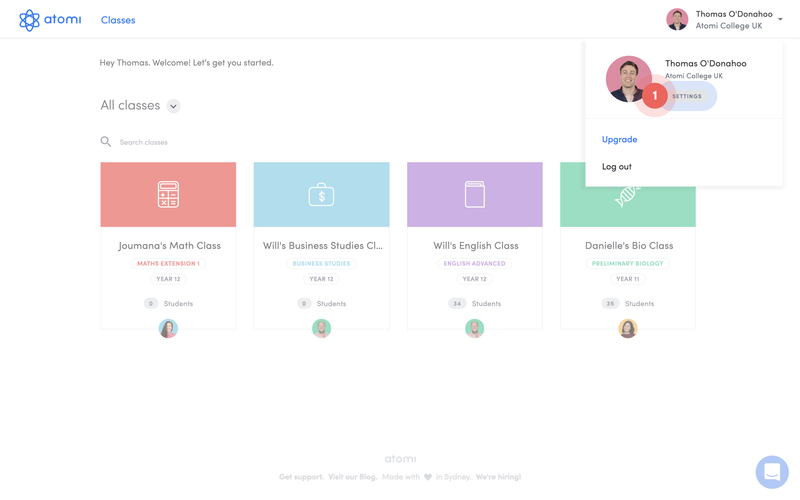 Your role on the school account will now change to admin, with the user you selected being the new account owner.